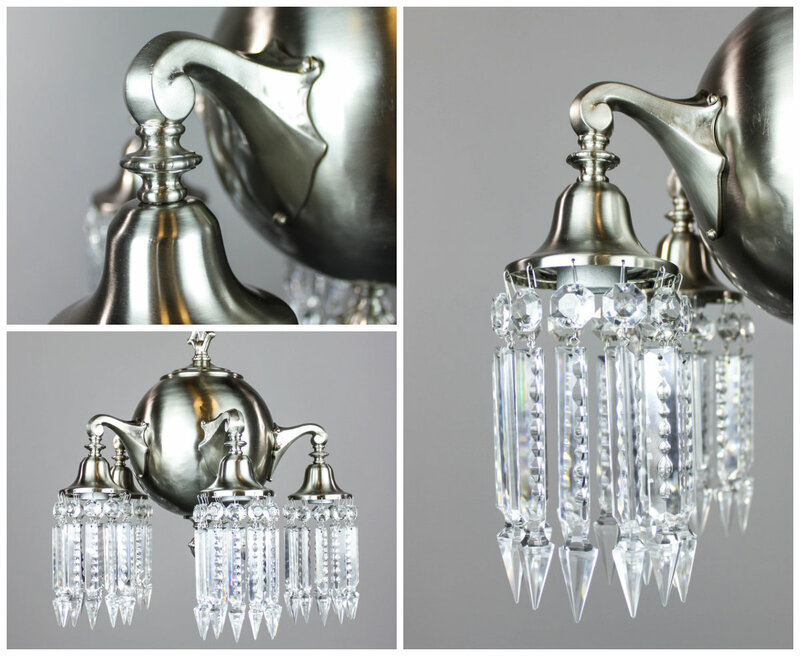 Now available online and in our RENEW showroom: a trio of antique nickel-plated crystal chandeliers. Both opulent in design and tasteful in execution, these lights would befit a master suite, an elegant dressing-room, or a stylized den or office. The soft clean look of brushed nickel highlights an original Art Nouveau silhouette, as notched crystal elements are a perfect sparkling accent.